Underwater photography is a strange field in and of itself. There are only a few types of images that can really be captured by an underwater photographer, but since the field is so niche you will find that a professional with this skill is always employed and paid well. What is really difficult about underwater photography is both the negotiation of what it takes for a person to remain creative when in such a foreign environment, as well as the difficulty of trying to port over the techniques of digital photography to a world where light and motion do not have the same rules they once did. Here are a few tips for those who are wondering how to be an underwater photographer. The primary element of underwater photography is that you have to be underwater for significant periods of time. Real environmental photography cannot be done in a matter of seconds, and that why unaided dives or snorkeling will not be able to provide the photographer with what they need to get real underwater images. 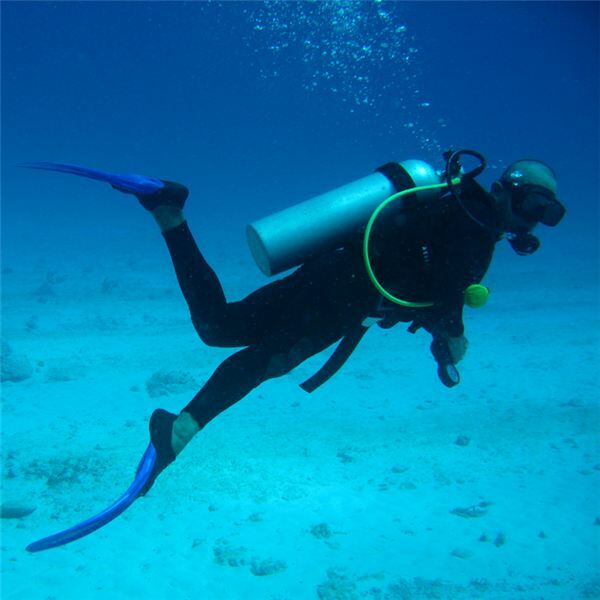 Instead they will have to become fully SCUBA trained and certified, which is not an easy task for all people. To do this you have to make sure that you are first a strong swimmer and then to take a certification class that will give you the basics for how to use the SCUBA tank and mouthpiece, as well as how to operate underwater and deal with threatening situations. This is the fundamental aspect of how to be an underwater photographer, which is really the unity between two disciplines and making them work for each other. The question of how to become an underwater photographer requires that you are going to have to address profession in the same way that you would with any freelance photography. What this means primarily is purchasing the expensive equipment that it requires, especially since few places that would actually purchase your work would have the need to hire a full time underwater photographer who they would then want to purchase equipment for. Beyond your high quality DSLR camera you will need to get the proper water proof casings and the SCUBA equipment, which is not a cheap proposition. Though you will likely not be including a lot of high end lighting equipment, which you would not do at all in environmental photography, you will still be looking at more photographic equipment than you would for most types of nature photography. In general, underwater photography equipment is going to be so expensive that you may have to work for a while before you will be able to own your own. Often times underwater photography is created as high end stock photography unless you have a specific job as hired by a publication or company. In these cases you will need to start thinking about exactly what will sell the most and what there is a demand for. For example, tropical fish around coral reefs are some of the most popular images that can be produced in underwater photography and if you have the ability to capture these images you will be able to sell them for top dollar. If you are in a muddy lake, on the other hand, your images are not going to be very clear and no one will want them. Begin considering where you want to be doing your photographic work and how you want to spend your time acquiring images for sale. You should also consider your workflow in a more general sense, including what it takes to run them through photo editing and how you want to create a sale network.